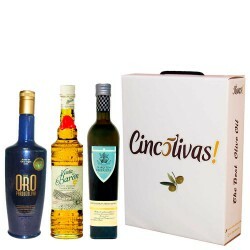 Cardboard Gift box with an assortment of 4 high quality gourmet products, perfect for gifts. 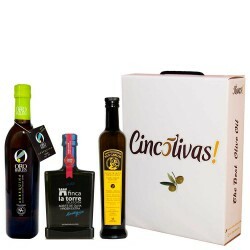 Rincón de la Subbética Hojiblanca variety, is probably the world's most awarded olive oil. This is a very intense and complex oil by the number of shades that it has got, with fruit and citrus reminiscences. 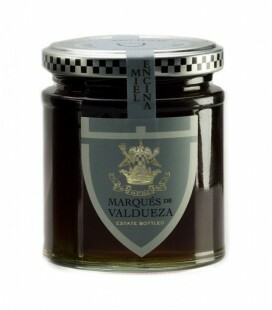 Marqués de Valdueza Coupage is a very fruity oil, medium intensity upon entering the mouth it is followed by a slightly bitter and spicy touch. 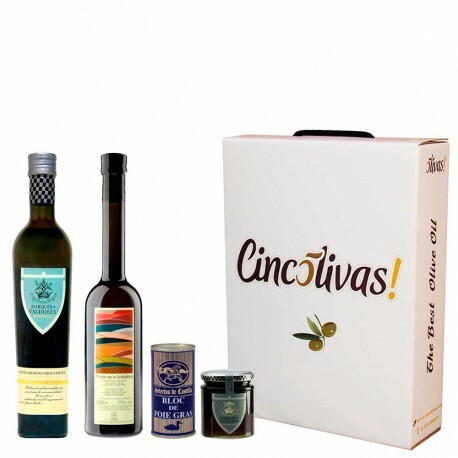 Miel Artesana de Encina Honey 100% natural. Amber to dark amber color. Floral, with malted and toasty tones, intense and persistent. 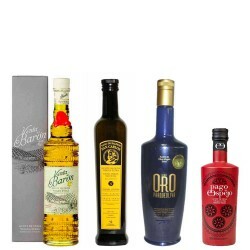 Sweet taste with salty notes. 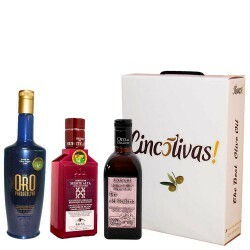 1 bottle of Rincón de la Subbética 500ml. 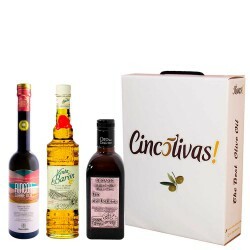 1 bottle of Marqués de Valdueza Coupage 500ml. 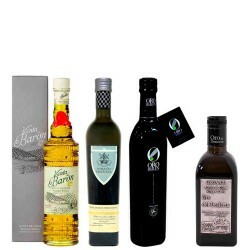 1 Artisan Holm Oak Honey 256 gr. 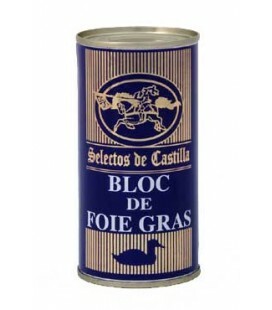 1 Can of Bloc de Foie Gras de pato (98%) 95 gr. 1 x Can 95 g. Bloc de Foie Gras de pato (98%).